A classic timepiece, the Tristan I Gold Anniversary Clock is highlighted by a polished brass finished metal base and polished metal dial with a triple crown finial. The spun-finish chapter ring, glass dome and revolving pendulum complete its' charm. 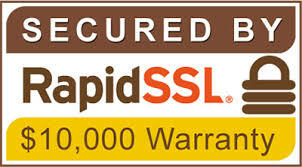 The clock includes an oval engraving plate to commemorate the anniversary or special occasion. 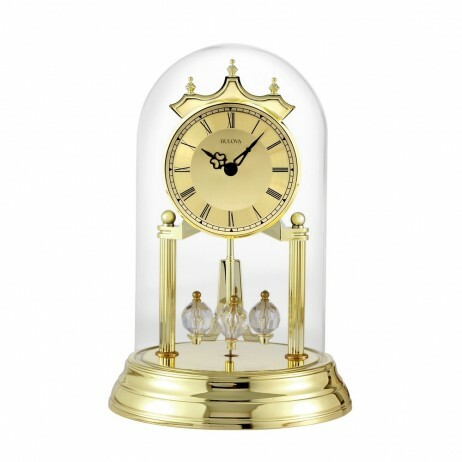 This gold anniversary clock is ideal for any commemorative occasion. 9″ glass-domed anniversary clock with metal base and triple crown finial. Revolving pendulum includes four revolving synthetic crystals. 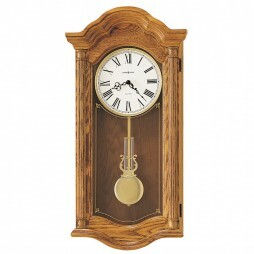 This is an elegant, wood wall clock with lovely features you would want to have on your walls. 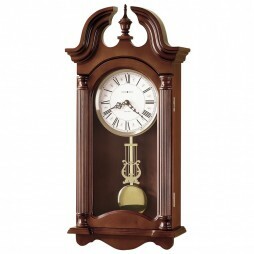 This clock features an arched bonnet and lower door molding; which goes great with its off-white Roman numeral dial that features serpentine hands. One of the features this chiming wall clock has is it's gold-tone etched design on the door glass which frames a polished brass lyre pendulum. This clock features a German-made Kieninger movement which plays a full Westminster or Ave Maria chimes and includes volume control. When buying this stunning timepiece you will notice its beautiful Golden Oak finish, beautifully made on select hardwoods and veneers. This is truly a lovely wall clock you want to have in your home or office. 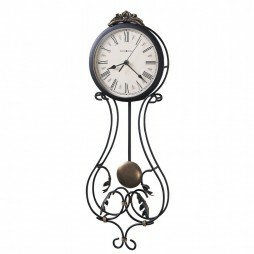 This wrought iron wall clock is crafted effortlessly to give an antique finish. The cast crown finished in charcoal gray with gold highlights designed with decorative leaves gives the wall clock a traditional look. The antique look has been complemented by the aged dial having black colored Roman numerals and spade hands. The gold finished pendulum bob adds to the beauty of this time piece. It has a battery operated movement. The convex acrylic crystal has been used for protecting the dial. This unique piece will be a very classy gift item for the loved one. 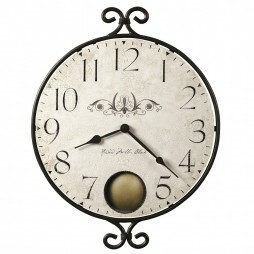 For decorating the living as well as the dining area this wall clock will be ideal.